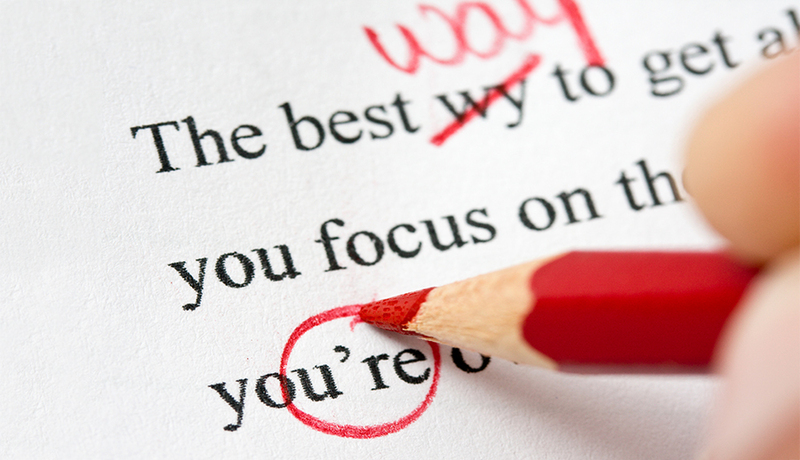 Why Should You Hire a Professional Dissertation Proofreading Service? Your dissertation is an unequivocally important document. It is a paper you have spent years earning the opportunity to write. You cannot afford to finish it alone. Expert Editors offers professional dissertation proofreading help and service. We do not cut corners just as we know our clients do not. We are here to add a bit of shine to your work. If you feel overwhelmed and worry about the quality of your paper, we can help with that, too. Expert Editors is a professional dissertation proofreading service full of editors with graduate degrees who understand dissertations and the needs of our clients. We know that, ultimately, you want to demonstrate your prowess as a scholar and the depth of your knowledge. We will guarantee an editing process that will leave you with a polished document that will impress the sternest of professors. You will have unparalleled access to your editor. You can communicate with them directly. Our competitors cannot offer this feature. All of these facts add up to a measure of trust that is essential to the proper composition of your paper. The Process Followed by a Professional Dissertation Editing Service. Our process incorporates meaningful suggestions from your editor, all of which are designed to produce the most outstanding dissertation possible. Your editor will clarify anything that troubles you and incorporate your concerns and newly derived goals into their process. We will edit for passive voice, word choice, consistency, reasoning, tone, syntax and many other elements of academic writing. We will do everything possible to ensure you receive an outstanding paper that you can proudly present to an advisor or committee. Our professional dissertation editing service will also work to strengthen your skills as a writer, and we are certain that you can and will return to us even as your skillset continues to expand. We are dedicated not only to the dissertation but to maintaining a long-term professional relationship with you and any colleagues you bring our way. Choose Expert Editors, the Most Highly Recommended Dissertation Proofreading Service. Our editors have been paired with scholars from around the globe. We have helped students and academics in Canada, the US, the United Kingdom, the UAE, and North Africa to name only a few. We also feature bilingual editors who are talented enough to address idioms to ensure that your linguistic background never hinders your writing and can be seen as nothing short of a communicative strength. Our clients have turned out work that has impressed many faculty members and helped to secure Ph.D. degrees. Our combined efforts have reached the halls of hundreds of universities across the globe and contributed to the vast bodies of knowledge of countless fields of intellectual inquiry. Let us add your dissertation to that growing list and help to bring your thoughts to the world.